Ivantis today released two-year results from a study comparing its Hydrus Microstent to Glaukos‘ (NYSE:GKOS) iStent trabecular micro-bypass stents, touting reductions in medication use and no reoperations for patients in the Hydrus arm. The Irvine, Calif.-based company said that it is presenting results from the Compare trial today at the American Glaucoma Society’s annual meeting in San Francisco. “We are extremely pleased with these two year results. These results illustrate the clinical advantages of the Hydrus and its unique, proprietary Tri-Modal mechanism of action relative to focal trabecular bypass. Clearly, scaffolding the canal has unique benefit. Of the over 100 peer reviewed publications in the MIGS space, there are only a small handful of prospective, multicenter randomized trials, and Ivantis has conducted nearly half of those, which is a significant achievement for a company that is the most recent to commercialize in the MIGS category. We are proud to sponsor clinical trials of this caliber, enabling the Compare investigators to advance our understanding of the Hydrus Microstent and the MIGS field overall, and we look forward to the publication of these important two year results. We are grateful to the investigators for their support and contributions,” prez & CEO Dave Van Meter said in a press release. In the study, Ivantis compared the Hydrus microstent against two large-diameter iStent devices in treating open-angle glaucoma in a stand-alone procedure. A total of 152 patients with mild to late-moderate stage disease were treated at 12 international centers in the trial by surgeons who were “beyond their surgical learning curves for both devices,” the company said. Results at 24 months indicated that 38% of patients treated with the Hydrus device were medication free, compared to 18.7% of patients in the iStent groups. Medication use was reduced by 1.3 medications, or 52%, on average for Hydrus patients, while iStent patients saw reductions of 0.8, or 29%, Ivantis said. No Hydrus patients required reoperation to control for glaucoma, while 9% of patients in the iStent group required reoperations, the company said. A total 63% of patients in the Hydrus arm achieved a 20% reduction in intraocular pressure while on fewer meds, compared to 40% of iStent patients. Both groups reported general stability in medication reductions and IOP levels relative to their results at 12 months, the company added. “The clinical community will be pleased to see 24-month results for the first controlled ‘head-to-head’ trial in the MIGS space, and there are some important and practical takeaways here. First, although this is a controlled trial, it is quite ‘real world’ in the sense that the surgeons were trained experts in both technologies and the population included a wide range of disease severity. Second, we know cataract surgery alone is effective at reducing IOP, and, while the predominant application of MIGS today is in conjunction with cataract surgery, the results of this trial allows us great optimism for the role of these technologies as ‘standalone’ procedures. Third, while not a prespecified endpoint, a critical finding was a statistically significant difference in secondary surgical interventions at 2 years in favor of Hydrus. Ultimately, the goal of all MIGS – and all glaucoma therapy in general – is to stop progression of disease. While both devices had overall benefit for the patient, on this metric, Hydrus as a stand-alone procedure was excellent. This data set is an important contribution to our overall understanding of the role of MIGS devices in our armamentarium,” American Society of Cataract and Refractive Surgeons prez Dr. Thomas Samuelson said in a prepared statement. Last August, Ivantis said that it won FDA approval for its Hydrus microstent designed to treat patients with mild to moderate primary open-angle glaucoma in conjunction with cataract surgery. The post Ivantis touts 2-year Hydrus, Glaukos iStent head-to-head study results appeared first on MassDevice. Shares in Glaukos (NYSE:GKOS) are rising today after the ophthalmological-focused medical device maker posted fourth quarter and full year 2018 earnings that topped expectations on Wall Street. The San Clemente, Calif.-based company posted profits of approximately $1.8 million, or 4¢ per share, on sales of approximately $54.1 million for the three months ended December 31, for bottom-line growth of 76.8% while sales grew 29.8% compared with the same period during the previous year. The post Glaukos rises on Street-beating Q4, 2018 earnings appeared first on MassDevice. Shares in Glaukos (NYSE:GKOS) have fallen today after the ophthalmic medical tech company posted first quarter earnings that saw profits swing to losses, despite topping The Street’s expectations. The San Clemente, Calif.-based company posted losses of $2.7 million, or 8¢ per share, on sales of $40.1 million for the three months ended March 31, seeing an over 400% swing into red on the bottom-line while sales grew 11.8% compared with the same period during the previous year. The post Glaukos posts red ink in Q1 earnings appeared first on MassDevice. 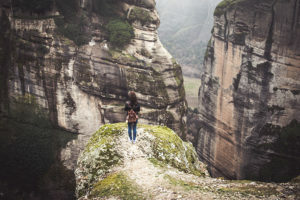 Ivantis today released one-year results from the study of its Hydrus Microstent comparing it to Glaukos‘ (NYSE:GKOS) iStent trabecular micro-bypass stents, touting the Hydrus’ ability to reduce reliance on medication and intraocular pressure. Results from the trial were presented at the American Society of Cataract and Refractive Surgery annual meeting in Washington D.C. by Dr. David Chang of the University of California, San Francisco, Irvine, Calif.-based Ivantis said. The Hydrus microstent is designed for minimally invasive microsurgical procedures to reduce eye pressure in patients with glaucoma. The device is multi-modal, the company said, by creating a large opening through the trabecular meshwork and dilating and scaffolding the conventional pathway through which fluid exits the eye. “This is a necessary, novel and well-run study conducted by a group of experts in the field of MIGS. Not only is it the first to compare two different canal-based technologies in a Level One evidence clinical trial, but it is the first prospective, randomized data reported where we can evaluate MIGS devices in a standalone glaucoma setting. These MIGS approaches, when combined with cataract surgery, have been previously reported to be safe and effective. This study looks at the viability of MIGS in patients who don’t need or may have already had cataract surgery, so it’s a vital addition to our growing body of evidence supporting MIGS,” Compare trial medical monitor Dr. Iqbal Ahmed said in a prepared release. Ivantis said the 152-patient trial was the first to compare two minimally invasive glaucoma surgery device for treating open-angle glaucoma in a standalone procedure. The study aimed to compare safety and effectiveness of both devices in lowering IOP and reducing eye-drop medication. Results at one year showed that 47% of eyes treated with the Hydrus Microstent were medication free, compared to 24% of eyes treated with the iStent device. Medication use was reduced by 61% for Hydrus patients, the company reported, with a 37% reduction for patients treated with the iStent. A total of 73% of patients who received the Hydrus stent achieved a 20% reduction in IoP while on fewer medications, compared to 47% in the iStent cohort. “To date, we have had no comparative data from prospective randomized studies evaluating two different MIGS devices. Furthermore, we have had very few, if any, level one evidence clinical trials assessing MIGS in a standalone glaucoma surgery setting. Compare is not only a multi-center study but also a ‘real world’ MIGS assessment, given the wide range of glaucoma severity and the fact that 12 experienced, expert surgeons from eight countries participated. It is notable that participation criteria required that all surgeons were past the learning curve for each MIGS platform. The Compare data will be helpful in evaluating canal-based MIGS in a wide range of clinic situations, and it will demonstrate the benefit of dilating Schlemm’s canal and gaining access to multiple outflow collector channels. I look forward to the peer-reviewed publication of these results and further analysis with longer follow-up,” Ivantis global medical monitor Dr. Thomas Samuelson said in prepared remarks. “These results illustrate the clinical advantages of the Hydrus and its unique, proprietary tri-modal mechanism of action. Combined with best-in-class data in the cataract surgery setting, this adds to what we believe is the broadest and highest-level evidence seen to date for a MIGS device. We are proud to sponsor clinical trials of this caliber, enabling the Compare investigators to advance our understanding of the Hydrus Microstent and the MIGS field overall, and we look forward to the publication of these important results. We are grateful to the investigators for their support and contributions,” prez & CEO Dave Van Meter said in a press release. Last April, Ivantis said it won approval from the FDA to initiate a 2nd investigational device exemption trial of its Hydrus microstent, testing the device in patients with advanced glaucoma who are undergoing stand-alone glaucoma surgery without combined cataract surgery. The post Ivantis touts 1-year head-to-head Hydrus, iStent study data appeared first on MassDevice. Glaukos (NYSE:GKOS) today released two-year data from the FDA investigational device exemption pivotal trial of its iStent inject trabecular micro-bypass system, and announced a patent infringement suit it filed against Ivantis. Results of the 505-patient study were presented at the American Society of Cataracts and Refractive Surgery annual meeting by Dr. Thomas Samuelson of the Minnesota Eye Consultants, the San Clemente, Calif.-based company said. The iStent inject trabecular micro-bypass system is designed to treat mild-to-moderate open-angle glaucoma in patients undergoing cataract surgery. It uses a pair of heparin-coated titanium stents in a pre-loaded auto-injection system that allows them to be injected into multiple trabecular meshwork locations via a single corneal entry point, the company said. In the trial, subjects were randomized to two cohorts, with 387 patients receiving the iStent inject in combination with cataract surgery and 118 patients receiving cataract surgery only. Subjects in the trial were followed through two years with annual medication washouts, the company said. Glaukos said that the trial met its primary and secondary effectiveness endpoints, and reported that the overall rate of adverse events between groups was similar. At two years, 75.3% of the cohort who received the iStent inject achieved a 20% or greater reduction in unmedicated intraocular pressure compared to 61.9% in the cataract-surgery-only cohort. Mean unmedicated IOP amongst iStent patients was 6.9 mmHg compared to 5.4 mmHg for the cataract-only cohort. Data indicated that at two years, the iStent inject cohort had a 31% mean reduction in unmedicated IOP of 17.11 mmHg from a baseline of 24.8 mmHG and that 62.6% of the cohort achieved an unmedicated mean IOP at or below 18 mmHg, compared to only 49.2% in the cataract-surgery-only cohort. “The IOP-lowering capability of a single iStent in combination with cataract surgery has been well documented in the clinical literature, while various published studies and real-world international experience have also shown that multiple iStent devices can provide incremental IOP-lowering benefits. Given its performance and enhanced ease-of-use, we believe the iStent inject, if approved by the FDA, will be an attractive, two-stent option for U.S. ophthalmic surgeons to reliably manage glaucoma patients’ IOP in a straightforward and effective manner,” prez & CEO Thomas Burns said in a press release. In a separate release, Glaukos announced it filed a patent infringement suit in the US District Court for the Central District of California, Southern division, against competitor Ivantis. In the suit, the company claims that Ivantis’ Hydrus Microstent device infringes on patents Glaukos owns related to its core glaucoma technology. “Since our founding in 1998, Glaukos has invested considerable time and resources to develop novel technologies that create entirely new treatment options for glaucoma surgeons and their patients. This lawsuit reflects our unwavering commitment to protect our proprietary inventions for the benefit of patients, customers, shareholders, employees and others who rely on us,” CEO Burns said in a prepared statement. In February, Glaukos released results from a study of its iStent trabecular micro-bypass stent exploring its use during cataract surgery in patients with severe open-angle glaucoma, touting significant reductions in intraocular pressure and medication use. The post Glaukos touts 2-year iStent inject pivotal trial data, levies infringement suit against Ivantis appeared first on MassDevice. 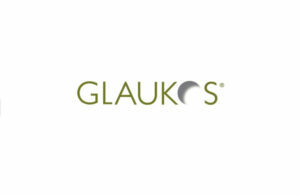 Glaukos (NYSE:GKOS) today released results from a study of its iStent trabecular micro-bypass stent exploring its use during cataract surgery in patients with severe open-angle glaucoma, touting significant reductions in intraocular pressure and medication use. The San Clemente, Calif.-based company’s iStent micro-bypass stents are made from non-ferromagnetic titanium and coated in heparin, is designed to be implanted into multiple trabecular meshwork through a single corneal entry point to reduce IOP. Results were published in the January issue of the Journal of Glaucoma. “Although the iStent is currently indicated for use in the United States during cataract surgery in mild to moderate glaucoma patients, this study offers important insights into the potential for ourtechnology platform to ultimately serve a full range of glaucoma disease states and progression,” prez & CEO Thomas Burns said in a prepared statement. Data in the study came from 59 glaucomatous eyes with cataracts and severe visual field loss, recording a baseline medicated mean IOP of 19.3 mm Hg and mean topical glaucoma medication use per eye of 2.3. A total of 49 eyes were followed out to two years after implantation, with mean postoperative IOP decreasing to 14.9 mm Hg and mean glaucoma medication use dropping to 1.6. IOP reduction was maintained in a consistent cohort of 32 eyes with data available through three years, with a postoperative IOP of 14.1, down from 18.1. No intraoperative complications were noted among 59 eyes in the series, with four patients requiring additional surgery. “While many prior studies have documented the clinical benefits of combining iStent implantation with cataract surgery in glaucoma patients who are in the mild to moderate stage of the disease, we believe this is the first published study to focus on its use in severe glaucoma patients undergoing cataract surgery. Our study showed that severe glaucoma patients experienced sustained reductions in IOP and medication use through three years postoperative,” study author Dr. John Berdahl said in a press release. Last month, Glaukos released results from a Phase II trial of its travoprost intraocular implant in a 12-month cohort of glaucoma patients. Shares in Glaukos (NYSE:GKOS) fell today even though the ophthalmic medical device maker topped expectations on Wall Street with its third quarter results. The San Clemente, Calif.-based company posted profits of $1.3 million on sales of $40.4 million for the 3 months ended Sept.30, for bottom-line growth of 8.3% on sales growth of 36.5% compared with the same period last year. Adjusted to exclude 1-time items, earnings per share were 4¢, ahead of consensus on The Street, where analysts were looking for sales of $39.1 million. “As the pioneer of micro-invasive glaucoma surgery, Glaukos continued in the third quarter to establish this new treatment class through global adoption of our iStent trabecular micro-bypass and next-generation iStent inject trabecular micro-bypass,” president & CEO Thomas Burns said in prepared remarks. Glaukos said it expects it post $155 million to $160 million in sales for the full year. GKOS shares were trading at $30.18 apiece today in afternoon activity, down -4.2%.